Minevaria was not always there. At first, it had to be created. 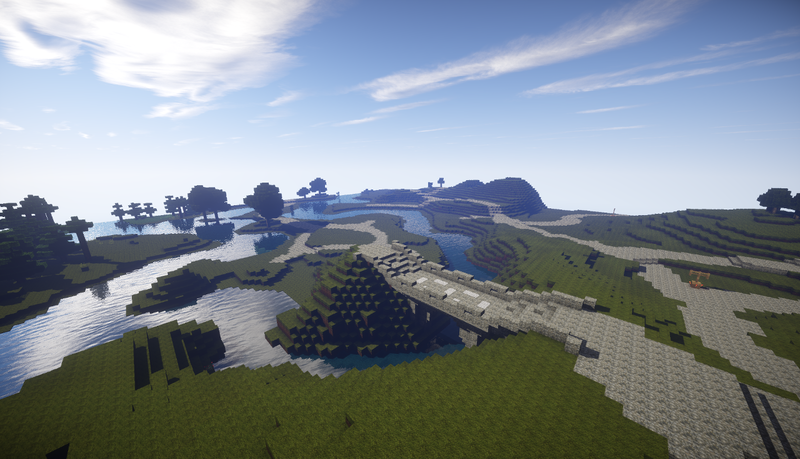 Minevaria was also not built within a week. Let alone on a single day. Minevaria looks back on a story which began many years ago. 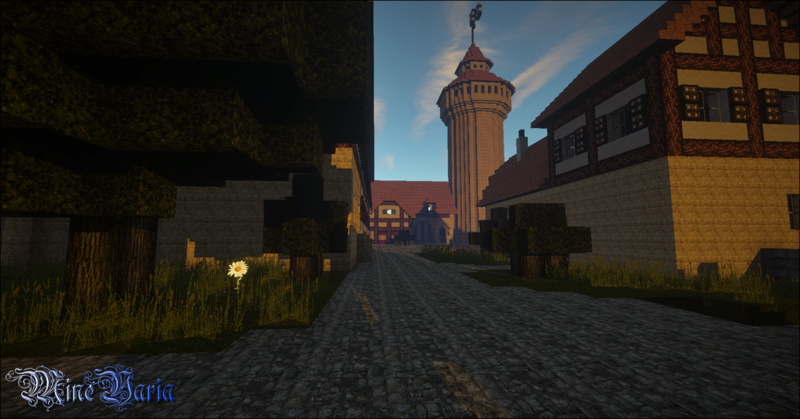 This page takes you on a journey into the past and shows you how Minevaria became what it is today. In the beginning was not the beginning. The history of Minevaria does not begin with the laying of the foundation stone but a few months earlier. Back when the current version was beta 1.5_01, Palando und Fritoeser played on a survival server which, by the way, was the first public server Fritoeser has ever played on. 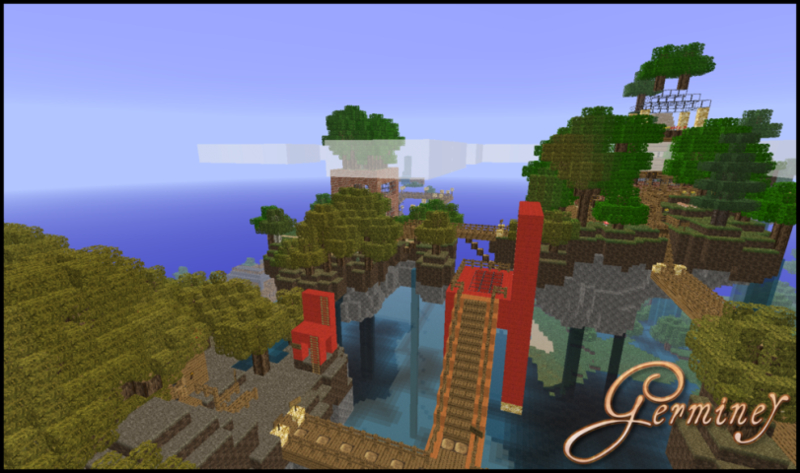 On this server, players could found and build settlements and such a settlement did today's administrators of Minevaria build. The buildings were later transferred to Minevaria, including a house in Woidseck. When a new Minecraft version was released, the world was reset and so they lost interest in this server. Instead, they both soon joined the young server of a classmate: Germiney. Not long after, the newly minted administrator Fritoeser became the resident of the first island of XXXSky which was constructed with the help of the founders MOPH_5 and Claymour. Here, he learned using WorldEdit, Essentials and other plugins. Players could purchase properties in the floating city which was supposed to become Chielo. Palando, too, settled in XXXSky, built a shop and helped, as the "mayor", with improving the city and managing the plots. 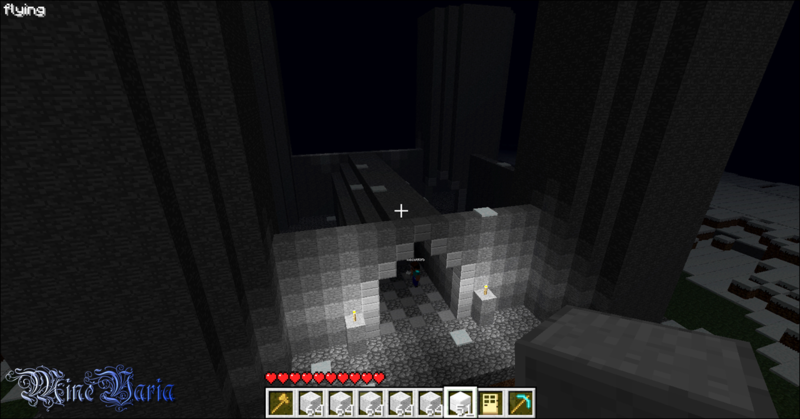 Away from the floating islands, RobotK95 busied himself with the Mines of Moria and other structures. A few months later, when a new map was introduced, an idea developed in the minds of Fritoeser and RobotK95: An own map on an own server! The foundation stone of the server was laid by RobotK95 und Fritoeser in the evening of 29th August 2011 when they started building Minechen Castle in a new world. At the same time, they agreed on the name "Minevaria" and the concept of the yet unnamed city. This new world should not compete but contrast Germiney: calmer, unhurried, no vandalism by griefers, permanence – it should be this map, forever, no resets. After building the first few houses, Fritoeser took home the map, set up the plugins and extended Minechen by building new structures and pasting old ones from Germiney. 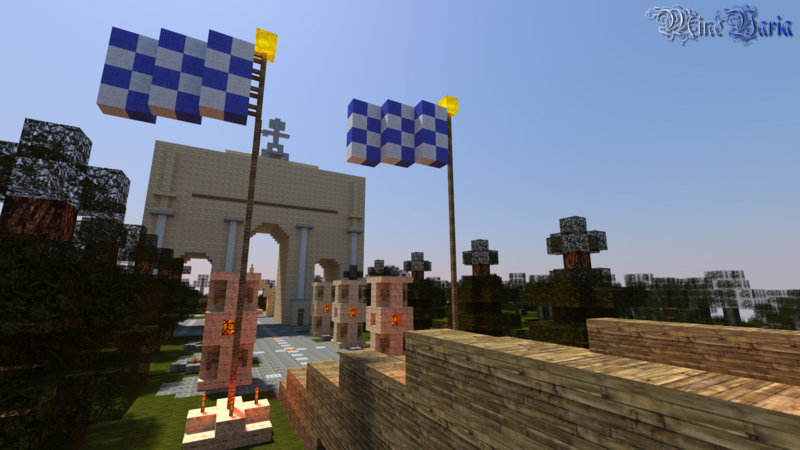 On 6th September, Minevaria was uploaded to a server, albeit still with a whitelist. RobotK95 could return now and Palando joined. Many new buildings were constructed and some old were re-introduced. At the end of October 2011, Palando made plans for the sparse city. He thought of a "Forum Minevarum" with a lion in its center. Together with Fritoeser, this center was extended and improved. Now, Fritoeser contributed an idea: Around the lion, there shall be a park, around that park, there shall be a wall, and around that wall, there shall be plots. This idea was put into practice and Leonsferoj came into existence. At the beginning of November, Fritoeser created a blog at Tumblr to document the progress. The whitelist was abolished shortly after so from then on, everyone could visit the server. 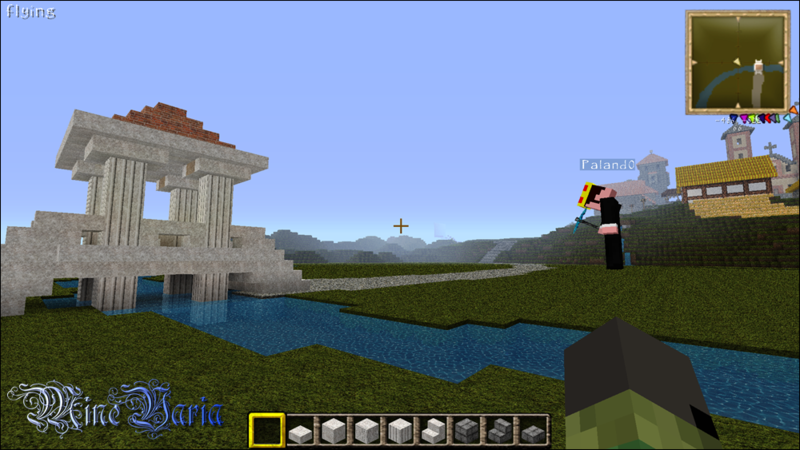 Soon, Fritoeser added the subterranean part of Leonsferoj where tall statues of both builders of the district are located. There, the the first metro station marked the beginning of the rail network half a year after the construction of the district. Slowly but steadily, Minechen grew. Even before the metro station below Leonsferoj was built, the village Gratlingen developed north of the city walls. Palando wanted Minechen to have a harbor so the capital of the kingdom should get one. He improved the shore and the island which was terraformed by Fritoeser. The district stood in no time! At about the same time, Aliabordo, the southern end of the city developed. Palando constructed the Victory Gate while Fritoeser built the fire pillars and the crossroad with its obelisk. The foundation for the expansion into the south was laid. More villages followed: Karolswiesen, Weizenhof, Woidseck... and the metro grew with them. Eventually, Chielo was pasted and extended. The old town became the district Radiko, the Wolkenhalle was built as the center of the new district Centro, a bridge connects the city to the mainland, and Palando founded Chielo-Arda. By now, we're in the year 2013. After designing the Airway system in July 2013, Fritoeser recreated the Propylaea from Munich, a building by the architect Leo von Klenze, on the Playground of the Kings. But where to place the edifice? The answer to that question was a new classicistic city: Klenzing. Hefenberg hill was terraformed and the epoynmous village was built on it. Palando created the river Klenz which has its source on the Hefenberg and flows into the Klenzau. Beginning at the Bavarian Gate, the city of marble and sandstone flourished. Even before Fritoeser created Hefenberg hill, Palando started working on a new milestone, Neuschwanstein Castle which was finished before the Museum District of Klenzing. King Ludwig's fairy-tale castle is the biggest edifice of Minevaria. It's even longer than the diameter of Minechen's inner city. The Museum District grew and Klenzing took shape. The most important axis of the city stretches from the White Arena via the Propylaea to the Maximilianeum – the basic scaffolding was erected but it's still a long way to the completed city. It was already clear that Klenzing would become huge. That's why it replaced Minechen as the capital city. The Minevarian architecture was subject to change and that could no longer be disregarded. Compared to the edifices in Klenzing, the old buildings came across as far too small, simple and boring, especially in Minechen, the first city. The first step of a modernization of Minechen was a re-interpretation of the Cathedral of Our Dear Lady by Palando in January 2015. For this purpose, other buildings had to give way by being moved somewhere else in the city – the cityscape was not the same anymore! Fritoeser, too, began breathing new life into some of the oldest houses in Minechen and the street lighting. The public utility even got two new buildings. In March 2015, Fritoeser performed a major terraforming operation in two parts regarding the southern and the eastern frontier. The first part focused on connecting the Minechen Channel east of Karolswiesen to the lake and making it navigable. In addition, the bay east of the Pflugspitze gained its present shore. The second part was the creation of a yet unnamed mountain range in the north east. 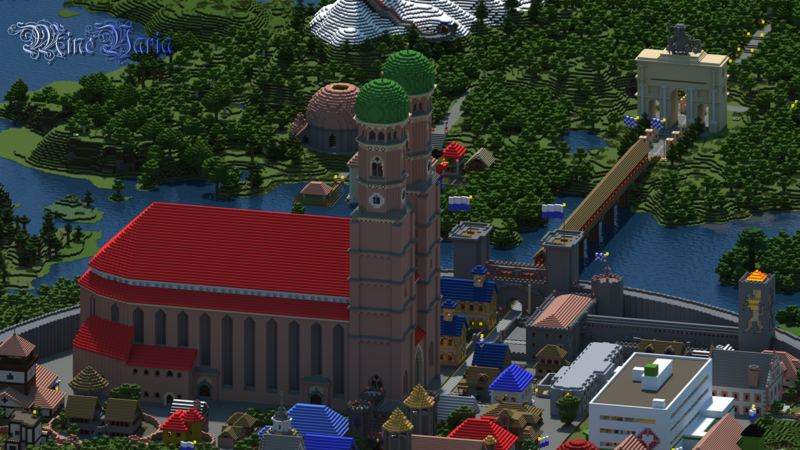 South of the mountains, Palando laid the foundation of the city Norberch in October 2015 when he finished the New Town Hall after building it for months. Until spring 2016 followed inter alia: the Kreuztor, the south-western part of the city wall and many buildings at the town hall square. The next milestone of the city was the imperial castle in the summer. However, Norberch was still cut off from the outside world. That's why the long planned "south expansion" was put into practice in August 2016. A road to the city was needed, so Fritoeser and Palando built one through the still undiscovered land between Cordonshofen and Norberch. Halfway, the village Gustlwörth developed around a crossroad. Not only the south and the south made progress but also Klenzing kept growing and the modernization of Minechen continued. In March 2017, Norberch received an additional landmark, the Cathedral of St. Peter. Meanwhile, Fritoeser conducted research on a new realization of the metro. Moreover, the Klenzing Residence, first experiments with a survival map, an Instagram account and a new screenshot blog followed. It is today. And tomorrow, the history of Minevaria will continue being written.